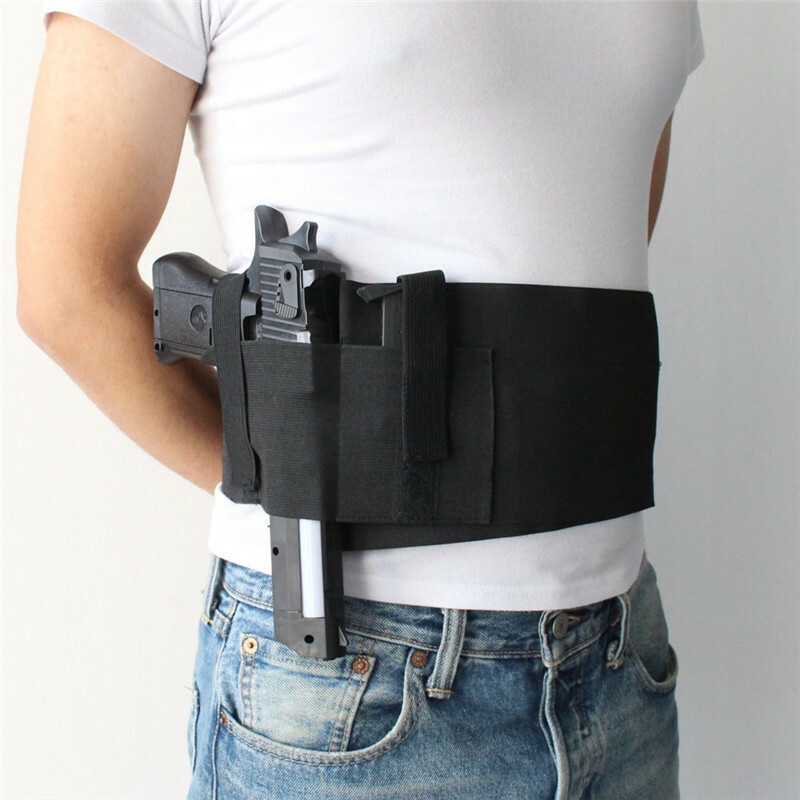 Do you want to carry belly band concealed and be comfortable? Do you want to be able to carry different guns for different situations? This amazing belly band with one size fits all, can be stretched to fit up to a 44" circumference. Lightweight, ventilated, anti-sweat, and breathable. Are you sick of bulky, hard, uncomfortable holsters? The Invisible Elastic Girdle Belt is the most versatile and comfortable holster on the market today! Read more to see why. One size fits all, can be stretched to fit up to a 44" circumference. Made of high grade material, lightweight, ventilated, anti-sweat, and breathable. Fits small subcompact, compact, and flexible to fit full size pistols and revolvers. Can be worn inside the waistband, outside the waistband. Multi-purpose, can also carry your mag, cellphone, money or some ID card. Perfect for running, biking and other outdoor activities.